I’ve gone from hating the idea of Christmas to being fairly excited in the space of 24 hours. Alright fairly excited by my standards is basically just not being completely opposed to something but that is actually a pretty rare thing so it seems like a big deal to me. 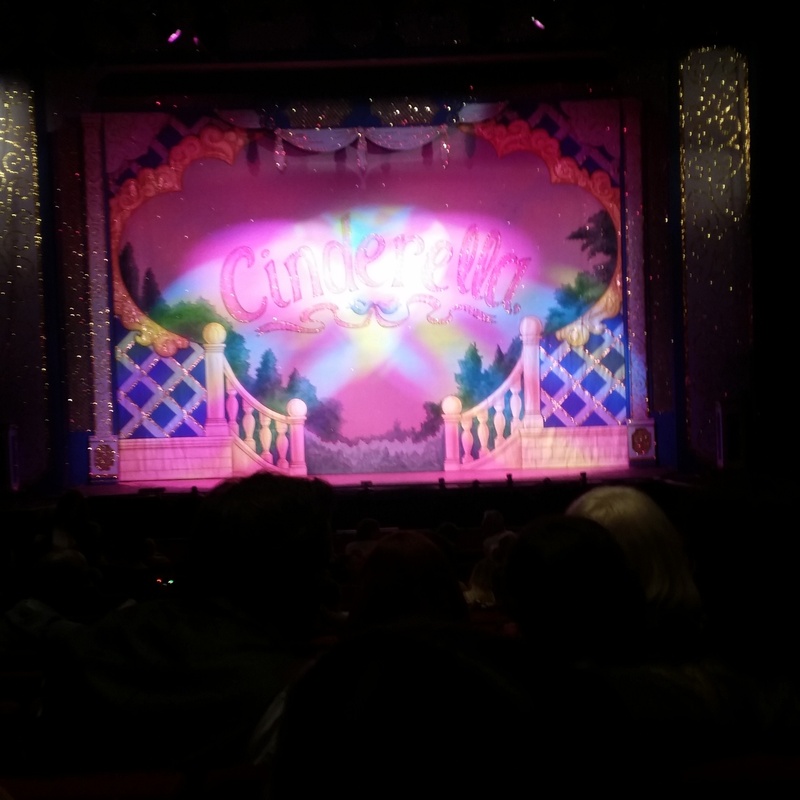 For the first time in several months I did something journalism related last night and went to the press night of Cinderella at the Fairfield Halls in Croydon. It was so brilliant, funny and beautifully produced and performed to perfection. Children were giddy all around as their parents and grandparents laughed at jokes aimed to woosh over a childs head. Heading home on a chilly night, with people around me in good spirits and those small and understated lights on lamposts twinkling away it really felt quite magical. Then today I got not just one Christmas package in the post but two! And one included a Christmas card so we now have something that represents Christmas in the house. I mean one card doesn’t make a display or a decorated room but it gives me that little warmth and glow inside knowing that Christmas is fast approaching. I’m also increasingly excited to know friends and family are starting to break up for the Christmas period or that they are getting closer to having a few days to kick back and relax. It means I can spend time with good people, have a good chatter and laugh and not stress about tomorrow being another work day. It isn’t that I feel better or anywhere near back to being myself but I’m making much more of an effort to appreciate everyday for what it is and to try to remember the highlights rather than the lowlights. Going to the theatre and reviewing it felt like a real achievement for me as it proved to myself I could still do things and haven’t completely lost the ability to do everything I was once good at. Hopefully I can carry on feeling a bit more festive and do a bit of shopping soon and a little baking too. Though putting the decorations up is still out the question which means getting truly festive will continue to be a bit of a challenge. This entry was posted in Culture, Events, Lifestyle, My Life, Theatre and tagged boys, cards, christmas, cinderella, costumes, croydon, decorations, depression, discussion, disney, dresses, fairytale, family, festive, friends, girls, happiness, Health, lights, London, love, men, modern, mood, panto, parcels, prince, selfcare, sisters, Theatre, wellbeing, winter, women. Bookmark the permalink.